The Stewardship Committee was formed to guide the people of the parish as they share the gifts they receive from God. As disciples of Jesus, we are called to holiness and to continue His work here on earth. We answer this call when we share our faith by praying together in thanksgiving and praise to God our Father and by serving others in the name of Jesus. We encourage all members of our community to share the gifts that they have been given, whether it is time, talent, or treasure, through prayer and action. The School Finance Committee is a subcommittee of the school board and is comprised of individuals with credentials in the field of finance. They serve as an advisory board to the pastor and principal and are directly involved in the annual budget process. The mission of the School Board is to support and promote the following: “We believe that God’s will is to spread the Good News and make disciples as Jesus did. The school is committed to minister and teach his message to our children. We are committed to develop a community of love and service in which the child grows academically, socially, and spiritually in cooperation with his/her parents. In particular, we will impart knowledge of the needs of the poor and an awareness of third world countries.” Members of the School Board are elected by parishioners for a three-year term. The Pastoral Council consists of 16 dedicated parishioners nominated by their peers and appointed by the pastor after thoughtful discernment. 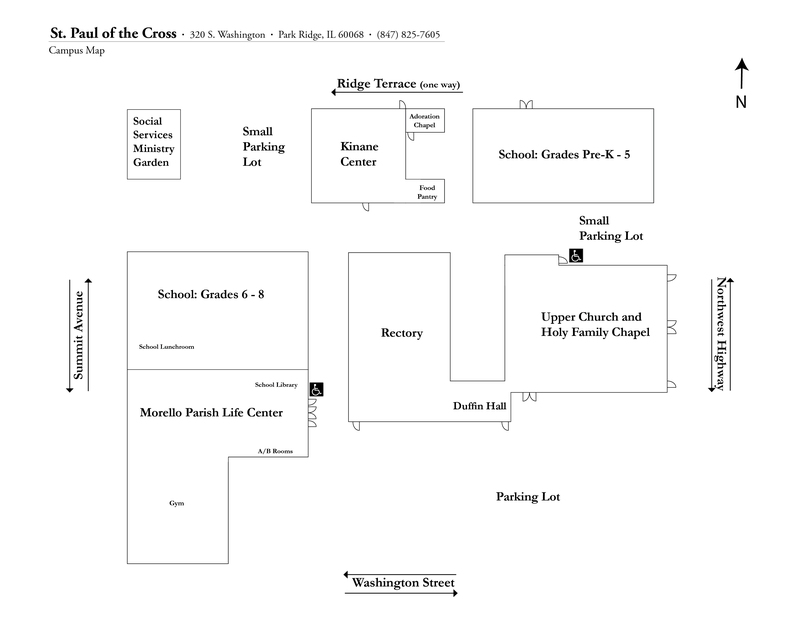 The Council is a visioning rather than a problem-solving body which seeks input through consultation with all parish ministries in order to identify the needs of the parish; prioritizes short and long-term goals recommended to meet identified needs; suggests how parish resources be allocated in order to serve these needs; encourages communication and cooperation between the parish organizations; and with appropriate input, advises and guides the pastor in serving the needs of the parishioners. The Parish Finance Council plays a consultative role, advising the pastor on all financial matters and making the fiscal operation of the parish accountable and transparent. It assists the Pastor in the administration of the material resources of the community by examining and approving major expenses as well as collaborates with the business manager in the preparation of the annual budget. Members of the building and grounds committee are assigned by the pastor. Comprised primarily but not exclusively of parishioners who are professionals in the building trade, the building and grounds committee serves as an advisory board to the pastor on capital projects. The St. Paul of the Cross Parish Educational Endowment Fund was developed in 2000 with the goal of keeping Catholic education affordable and accessible for future generations of SPC students. Thanks to the dedication and generosity of our many benefactors, the Endowment Fund currently has over $1.5M, which has allowed the council to allocate $65K back to the school each year to offset increases in expenditures and to keep tuition increase to a minimum. Additionally, the Endowment has funded need-based tuition scholarships.